You have seen ads about drop-shipping everywhere and are looking for some Ecwid dropshipping advice, tips and tricks. Check out the video below for a quick summary and read-on for a closer look at what dropshipping really is. This ultimate guide to drop-shipping with Ecwid covers the benefits of dropshipping, and how to drop ship with Ecwid. Ecwid is a powerful eCommerce solution that allows you to conveniently sell in multiple places online. Ecwid stores can be easily integrated to social media accounts, blogs, websites or affiliate websites. You can also integrate it on marketplaces like Amazon or eBay. Ecwid is a super simple solution to learn, which requires no coding, no hosting and no manual updates. Ecwid is a great solution if you want to leverage the power of dropshipping online. You can easily start dropshipping in Ecwid by using Dropshipp.io, Printful or Doba dropshipping. Not many people actually understand how dropshipping works. In simple terms, dropshipping is a business model that allows a business to operate without having any physical inventory. In other words, you can sell online without having a warehouse or room to store your products, and without having to ship your products to the customers who order from you. As a retailer, you have to partner up with a dropship supplier and/or with a manufacturer. The job of the supplier is to store your products in their warehouses, package the products and deliver them to your customers, on your behalf. Even though it might seem complicated at first, the way dropshipping works is quite simple. First, a customer places an order for a product you have listed on your site. The order will then automatically be forwarded to your dropship supplier. The supplier will already have your product in stock in one of their physical warehouses. Next, the supplier ships the selected product to the customer. With this model, you can finally get rid of the scary prospect of having to find a warehouse to store your products. All you need is a laptop and an internet connection and you can run your business from the comfort of your home. There are 5 main steps involved when you would like to start dropshipping. First, you need to open an online store. I recommend Ecwid because it is quick to setup and cheap compared to the competition. Next you need to chose a wholesaler (we will cover a list of them in this guide). Then you need to list your products and chose your profit margins. The main part of your job will be to promote your products and online store so you can enjoy an automated sales funnel! This step is as easy as signing up through the button below. There is no need for hosting, a domain name or any coding Ecwid even provides you a free website. 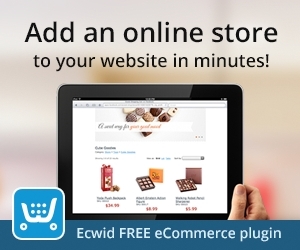 Click on the button below to open your Ecwid store in a couple seconds. The next step is choosing a wholesaler. We review a number of wholesalers that integrate seamlessly with Ecwid eCommerce in this article. Your choice will depend on what products you would like to sell. Keep reading below to make the right choice for your needs. Once you have chosen your wholesaler and activated their app in Ecwid, you can choose the products you would like to sell and upload them to your online store. You can also select your profit margins. Typically, you can expect to enjoy profit margins of between 15% and 45% when using dropshipping. However, for luxury items such as jewelry or watches, the profit margins can go up to 100%. It’s all about finding a niche that is not overly saturated. This is where you will have the most work to do. The cool thing is that Ecwid eCommerce covers most of the complex integrations that would normally require a developper. Some things Ecwid can allow you to do is integrate your store to Amazon, eBay, a Facebook business page, and Instagram. This can be an excellent way to tap into international marketplaces with high traffic, and social media platforms with millions, if not bilions of users. 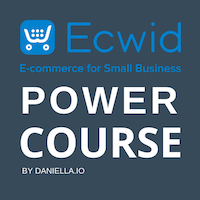 Learn how to promote your Ecwid eCommerce store, drive targeted traffic and boost sales in my Ecwid eCommerce Power Course! Click on the box below to learn more. Once your business is off the ground, you can start sourcing right from the manufacturer, thus cutting the supplier, which is the middle man. Successful entrepreneurs who are selling on Amazon or Ebay have managed to make over $1 million in just one year after starting this business. However, your level of success will depend on your level of dedication, the quality of your promotions, and your choice of products. The process of dropshipping is actually very simple. Here are the steps involved for you, the wholesaler and the client. As a modern business model, dropshipping can offer astounding benefits to both startups and SMB’s that want to grow and establish themselves as powerful, successful brands. Here are 3 benefits you can enjoy by using this concept of dropshipping for your Ecwid business. One of the biggest benefits of dropshipping for you is that this model is way cheaper than the traditional business model that consists in physically stocking products. The majority of the costs associated with traditional businesses like buying and storing inventory get cut out in this model. Since drop shipping has managed to successfully eliminate these fees, you can run your business and make a profit by investing a much lower amount of money. The time investment that is necessary when buying stock, and then delivering goods is phenomenal. For a bigger store, you might need to hire one or two employees to deal with this part of your business. You also need to make sure all things go smoothly, so you end up wasting precious hours controlling and optimizing the process. With drop shipping, you can save a whole lot of time, since all you need to do is to send qualified traffic to your online store so you create a stream of orders to your suppliers. The third main benefit of drop shipping is that you can now find drop shipping suppliers for any type of goods or products you want to sell. You can easily add new products in the mix or try a combination of more exclusive products, knowing that your supplier will accommodate them all. You have a wider range of product to choose from, which is ideal for diversifying your portfolio and growing your business. How Much Does it Cost to Drop-Ship? Drop-shipping can cost you 50$ to 5000$+ per month depending on the services you use and how you promote your online store. However, as we already covered, drop-shipping is way cheaper than a traditional business where you would have to hire people to stock and ship products. All you have to do is promote your products, but that does incur some costs. Using the tools below can drastically cut your promotion-related costs! Low-cost powerful solution to get Dropshipping online quickly. Promote your Ecwid dropshipping store with services starting at 5$ a job. 18 high quality marketing tools to capture leads and convert traffic on any website. Popups, lead capture boxes, notifications, header bars and more allow you to make sure that no traffic is untapped when visiting your drop-shipping store. 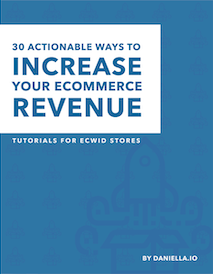 Add your Ecwid store to WordPress and boost SEO. 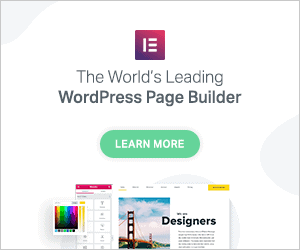 Use Elementor to design your site with no coding needed. The great news about selling on Ecwid is that this platform integrates seamlessly with drop shipping wholesalers. There are several fulfillment services that you can use with Ecwid. We’ll detail each of them below. This solution gives you quick access to a vast range of cool products you can sell online, right from the comfort of your home. You get direct access to numerous suppliers, who are more than eager to help you with anything from handling and storing the products to delivering them and offering guarantees. On this platform, you can easily add and edit products, add them to your store, add markup data to maximize your sales and keep track of your sales, stay in control of your sales and get paid. The whole drop shipping process is handled by the experts from Dropshipp.io, so you have more time to brainstorm & develop new ideas, break new ground in your niche and establish yourself as an expert on the market. This is the drop shipping service I most recommend. I’ve been using Printful for a while now. You can simply choose out of over 200 products, add them to your site, customize them with custom designs, and Printful will handle the manufacturing, storing and shipping for you. With Printful, you can promote your brand and sell high-quality products with high quality standards. You have full control over your profit margins and your product design. It is an excellent solution for anyone who is looking to monetize their audience. Artists, designers, podcasters and YouTubers love Printful to build their brand. To use Printful, create your Printful account and then link it to Ecwid within Printful. Easily add products to your store within the platform. Doba Drop Shipping is a huge platform that allows you to source any type of product on demand. There is no need for bulk inventory or initial purchases. You can choose from over 2 million products. On this platform, you can select your products, team up with suppliers and sell inventory at a better price. Thanks to the advanced filters, you can easily find the best products for you, manage product lists and unveil trending products. On this platform, you are only purchasing from Doba once your customers have placed an order. You are basically shipping the products your customers purchase right from the supplier’s warehouses. This allows you to stay in control over the entire process and run your business in a risk-free environment. This is another powerful fulfillment service that integrates seamlessly with Ecwid. Inventory Source includes over 180 suppliers ready to store and ship your products. You can automate product sourcing, integrate inventory levels and sync your products over multiple platforms. On Inventory Source, you enjoy full product data integration. All the images you upload keep their original parent/child attributes. Moreover, this platform allows you to enjoy optimized inventory sync. The data is pulled and pushed constantly through the platforms in order to prevent stock-outs. To top it all, this modern platform allows you to enjoy worry free order automation. All orders are synced real time with the database, so all entry errors are completely eliminated. This improves turnaround time and boosts customer satisfaction. This drop shipping platform links with your Ecwid store within minutes, enabling you to start selling ASAP. Wholesale2b offers you daily inventory updates, automated import, order processing and many other cool features. You can easily change items names, titles and prices. You can easily change your list and modify your shop settings. The wholesale2b app is user friendly. It automatically imports data feeds and offers you order fulfillment processing. You will save a whole lot of time with this app, since you won’t have to run after tracking codes or manually send orders to suppliers. Can I Drop-Ship with AliExpress or Oberlo in Ecwid? If you’ve used AliExpress or Oberlo before, you are probably well aware of their capabilities. While Oberlo allows you to import products right from Aliexpress and never have to search for manufacturers, AliExpress is one of the cheapest drop shipping options since it’s based in China. Ecwid does yet support AliExpress and Oberlo dropshipping. In the meanwhile, you can use one of the drop shipping third-party services reviewed above. All of them have their pros, especially Wholesale 2B and Doba, which offer huge product databases. Of course, you can also promote your brand by personalizing your products with Printful. No matter where you decide to drop ship you need to keep a couple things in mind. Make sure you have clear privacy policies in your online store. With drop shipping, you can dramatically boost your online business. You are not just automating your entire business, but you are also saving a lot of precious time. Depending on the third-party drop shipping service you choose to integrate with your Ecwid account, you get to enjoy several unique benefits. With drop shipping on Ecwid, you can dramatically increase cash flow. You don’t have to stock any products whatsoever, you only have to pay once a product has been already sold. Thus, you will have a higher cash flow which you can invest in marketing and SEO. The business opportunity of drop shipping enables you to enjoy a high level of scalability. You can easily test new products and see if they work without having to order in bulk. No more capital expenditure and fruitless investments. Moreover, Ecwid dropshipping enables you to increase the lifetime value of your key customers. Thanks to the ability you get to add expanded product selections regularly, you can successfully keep your existing key customers engaged. They will continue to return to your shop to see what new items you have in store. Thanks to email marketing and retargeting on Facebook and Google, you can make sure they always know when you have something new. You can easily automate this in Ecwid using their Google Shopping integration or Facebook ad generator. Ultimately, dropshipping on Ecwid enables you to expand in new, emerging markets. Getting products across international waters can be quite costly. However, thanks to Ecwid’s top features, coupled with strategically located suppliers, you can expand in emerging areas and sell your products with ease. Use Ecwid dropshipping to test new markets, test multiple products and automate your entire eCommerce business using a virtually unlimited inventory.